Demi Lovato is one of the popular faces in Hollywood who have earned herself a prominent name in both the film industry and the pop world at a young age. The 25-year old celebrity is one of the best selling artists of today, who became popular with the Disney Channel’s “Camp Rock” and her debut single “This is Me”. Several of her single have turned out be chart-busters and peaked at top spots on musical charts like US Billboard 200 and so on. Lovato was born on August 20, 1992, in Albuquerque, New Mexico, U.S.
She was homeschooled and received her high-school diploma in April 2009. White. She has Italian, Irish, Spanish, Native American, Portuguese and Jewish ancestry. Trace Cyrus (2009) -Demi dated Miley Cyrus brother Trace Cyrus for a short period of time. Joe Jonas (2010) – Jonas and Lovato briefly dated in early 2010. Wilmer Valderrama (2010 – 2016) – The couple dated for around 6 years starting from May 2010. They broke off in June 2016. Rob Kardashian (2010) – Rumored to have had a fling with him. Ruby Rose (2013) – She was rumored to be dating Australian model Ruby Rose in 2013. Guilherme Vasconcelos (2016) – Demi had a fling with him in summer of 2016. Luke Rockhold (2016 – 2017) – Demi and Mixed Martial Artist Luke Rockhold briefly dated for a year. Lovato wears a shoe size 7 (US). She wears a dress size 8 (US). Demi released her first studio album Don’t Forget on 23rd September 2008. A bunch of songs from the album peaked at top positions on music charts like Billboard 200 and also was given a gold certification by the ‘Recording Industry Association of America’ (RIAA). Her debut extended play, Moves Me was released on 3rd March 2007. IOn November 10, 2009, Demi debuted her first live album, Live: Walmart Soundcheck. She first starred in the 2008 Disney Channel original film Camp Rock as Mitchie Torres. She made her debut on television with the kid’s series, Barney & Friends from 2002 to 2004. Demi Lovato has a net worth of $33 million dollars as of 2017. Her appearance in the Disney’s series “Sonny with a Chance” and her chart-busting debut album skyrocketed her fame and helped her to reach great heights. Her source of income includes acting, music, endorsements, world tours, and business endeavors. Demi bought this exotic Mediterranean-style mansion in Sherman Oaks California for $2.25 million on her 18th birthday. This luxurious house boasts four bedrooms, four and a half bathroom, a pool, a garage and all the bells and whistles required to be a celeb house. The style icon owns a $150,000 metallic blue Mercedes-Benz E350 convertible, a white Range Rover Sport ($85,000) and a white Lexus LX400h Hybrid SUV. 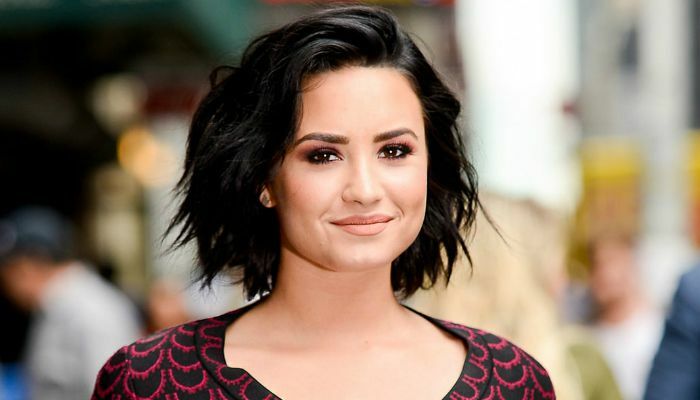 Despite being a popular celebrity in entertainment, Demi Lovato has her own share of struggles in personal life. She suffered from depression and eating disorder, thereby took a hiatus from her career and went into rehab. She was 18 then and took almost a year to overcome from health issues. In 2011, she wrote an exclusive article for Seventeen magazine about her struggles. the following year, MTV aired a documentary, Demi Lovato: Stay Strong, about her rehab and recovery. This singer and actress, has confessed that she’s religious and has advocated the rights of gay people on many occasions. In 2012, her song Skyscraper from the album received the ‘Best Video With A Message’ award at the “MTV Video Music Awards”. In 2012, she was one of the judges of the 2nd season of the American version of The X Factor. Demi Lovato is scared of cats and pine trees. She has had three pet dogs – Bella, Oliver, and Batman. In 2014, Demi launched her own skincare line called Devonne by Demi. Another actress who also started her career along with Demi through the series ‘Barney & Friends’ was the famous celebrity, Selena Gomez. These two women even went on to become good friends later on. On June 21, 2018, the singer released a new single titled “Sober” which she referred to as “my truth” and discusses struggles with addiction and sobriety. On July 24, 2018, Lovato was admitted into a Los Angeles hospital from her Hollywood Hills home after a possible overdose.